Hello iCandy readers! 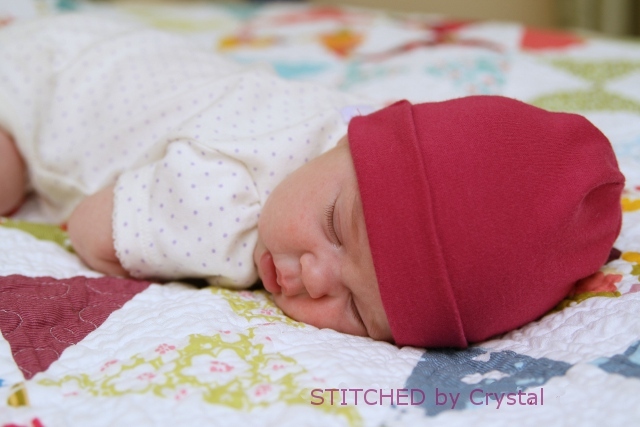 I am Crystal from Stitched by Crystal and I am thrilled to be here celebrating babies with Jen and Autie for their DIY Babies series! 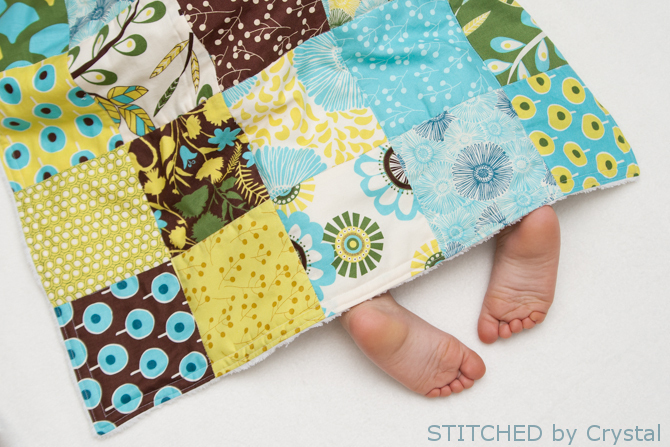 I have an easy baby blanket tutorial to share with you today that would make a great gift for any baby or mommy-to-be! A baby can never have too many blankets! They are my favorite things to make for new babies. 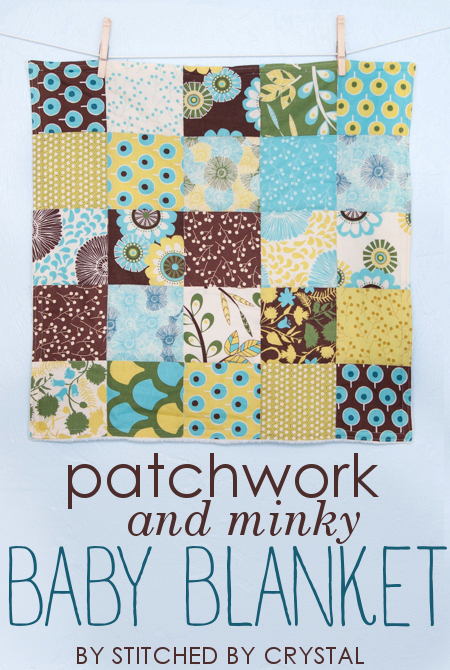 This little blanket measures a little over 20″ x 20″ which makes it the perfect size for the stroller or car seat. It is easy to roll up and throw in your diaper bag and a great size for baby to tote around. 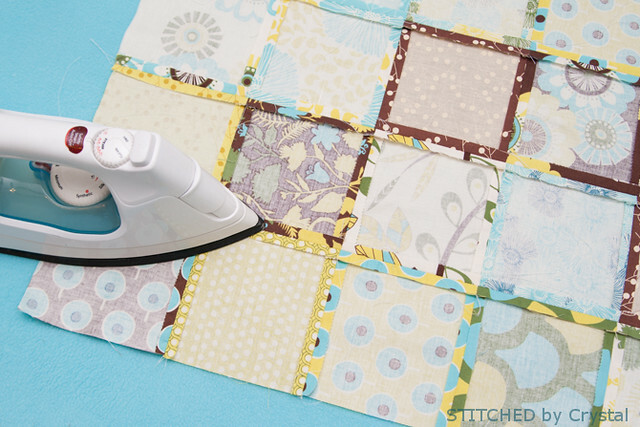 The front has is a fun patchwork of different fabrics which makes this a great project to use up some fabric scraps you may already have, or you can buy a charm pack of precut squares. 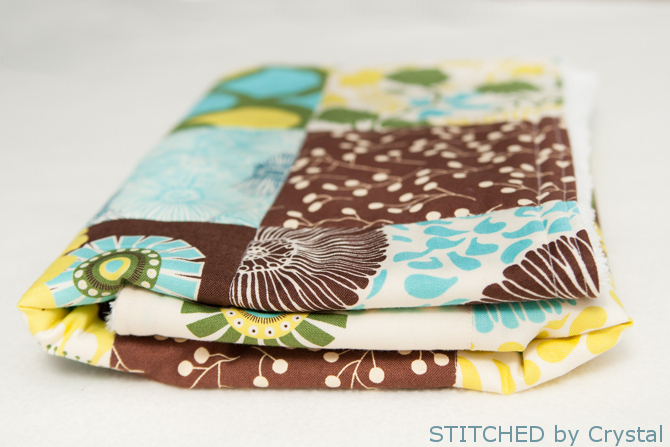 And the back of the blanket is a super soft minky that is extra cuddly for baby. 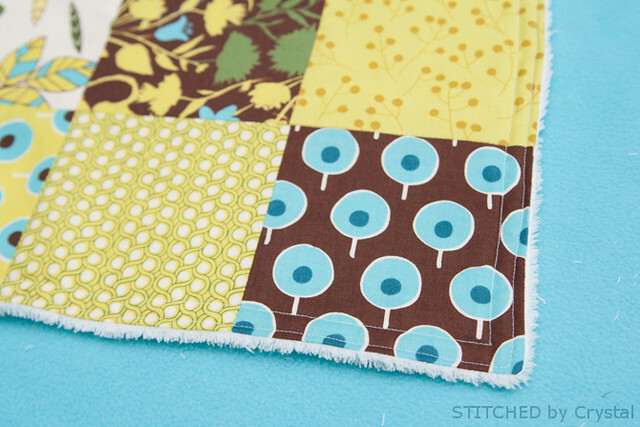 Minky can be tricky to work with, it is a bit stretchy and can slip around while you are sewing with it, but I have some great tips for working with it that will make sewing this little blanket a breeze! 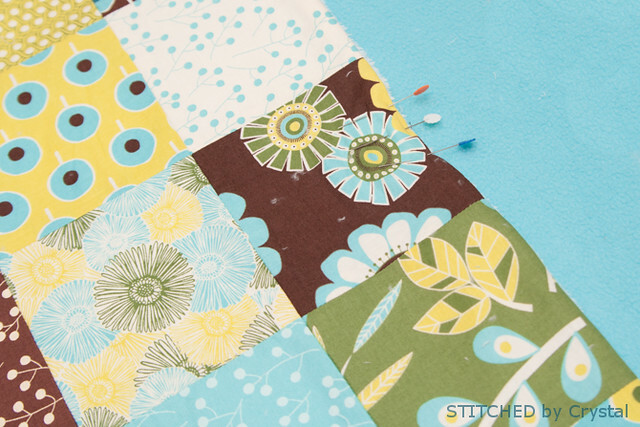 Place two squares right sides together and sew along one side with a ¼” seam allowance. Continue adding squares to the row until you have a row of 5 squares. 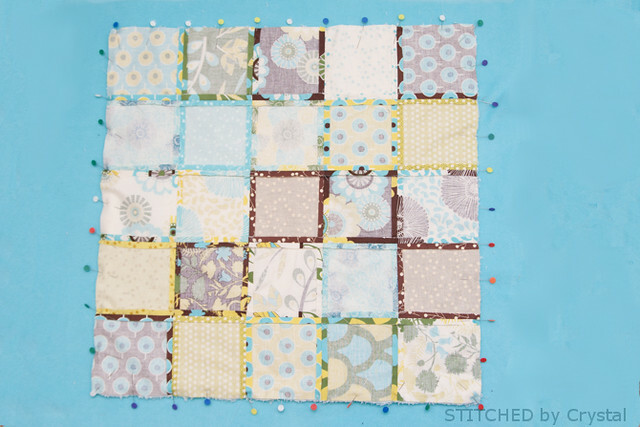 Repeat with your other squares to make 5 rows of 5 squares each. Place two rows right sides together, line up the seams and pin in place. 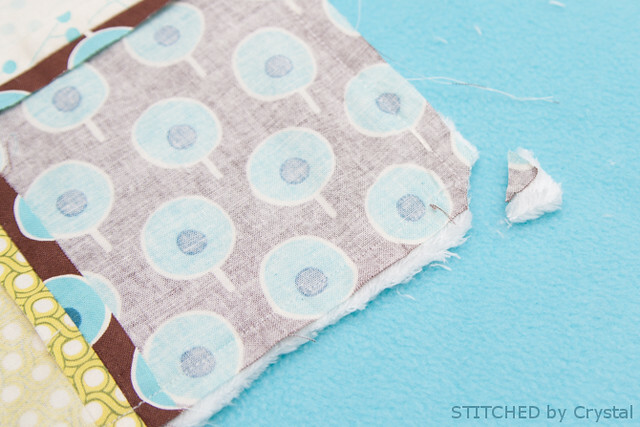 Sew them with a ¼” seam allowance. 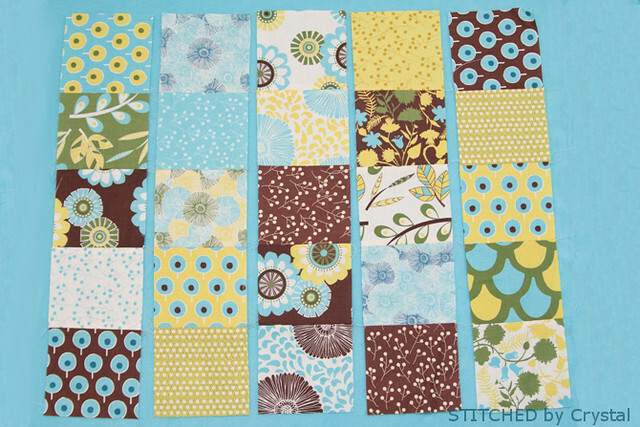 Continue adding rows until all 5 rows are sewn together, press the seams open. 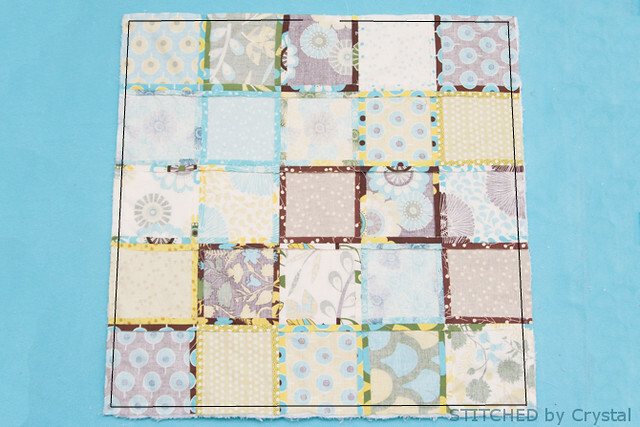 Carefully cut your minky so it is the same size at your patchwork top. 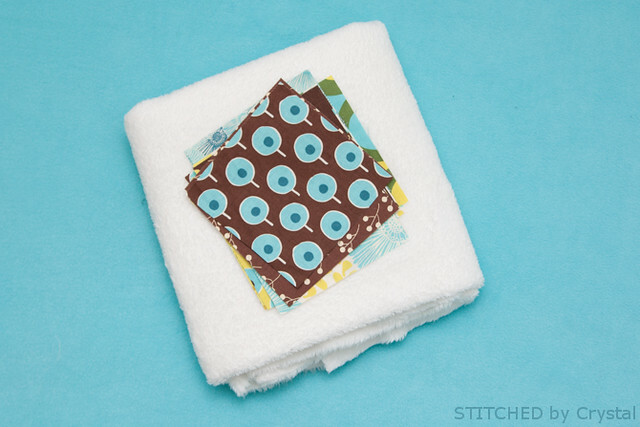 Place your blanket top and minky right sides together and pin around the edges. 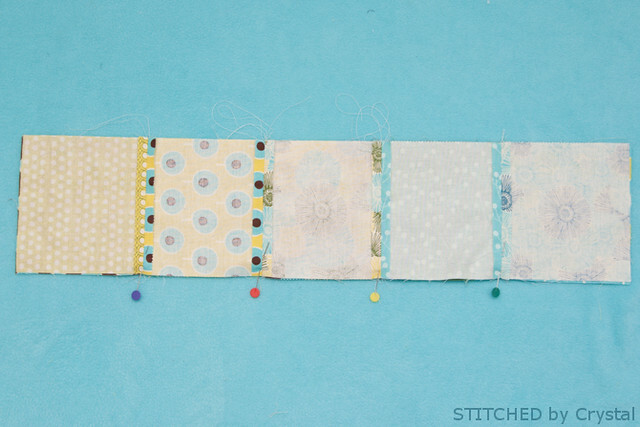 Use lots of pins to prevent the minky from slipping as you sew. 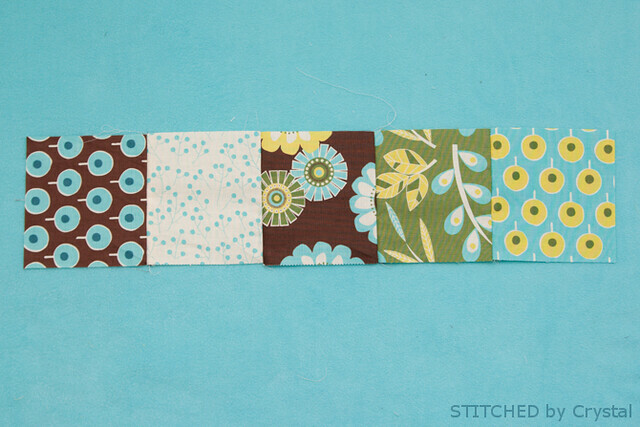 Sew around the edge with ¼” seam allowance, leaving a small opening about 2”-3” on one side. 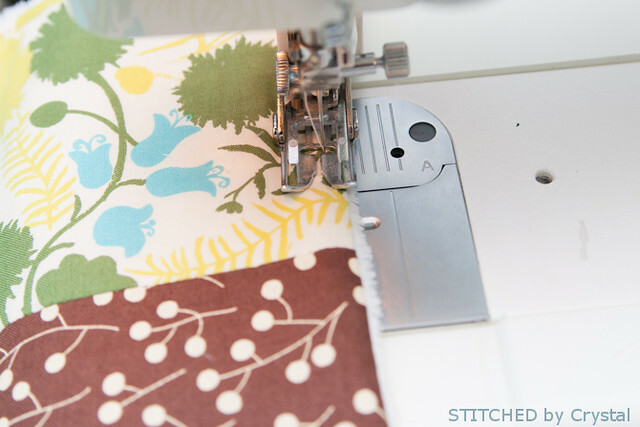 A walking foot is helpful for sewing the two layers together, if you don’t have a walking foot, don’t worry! 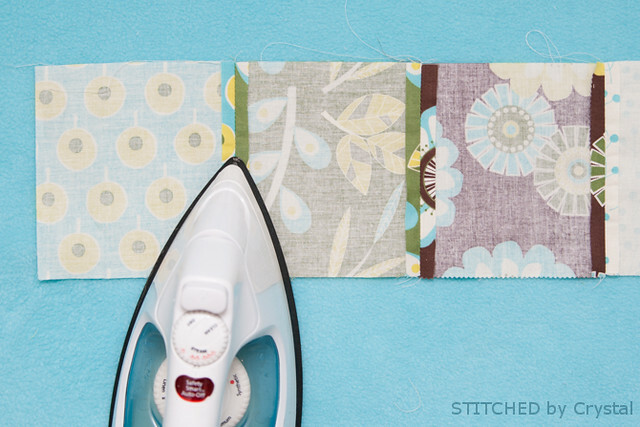 Just take your time and sew slowly to make sure the fabrics stay lined up. Clip the corners close to the seam to reduce the bulk. Turn your blanket right side out through the hole you left. Press the blanket on the fabric side. Tuck the raw edge of the hole in and pin in place. Top stitch around the blanket close to the edge making sure to sew the opening closed. Again, I find a walking foot helpful for this step, if you don’t have one just take your time. I added an extra row of topstitching about 3/8” from my first row. 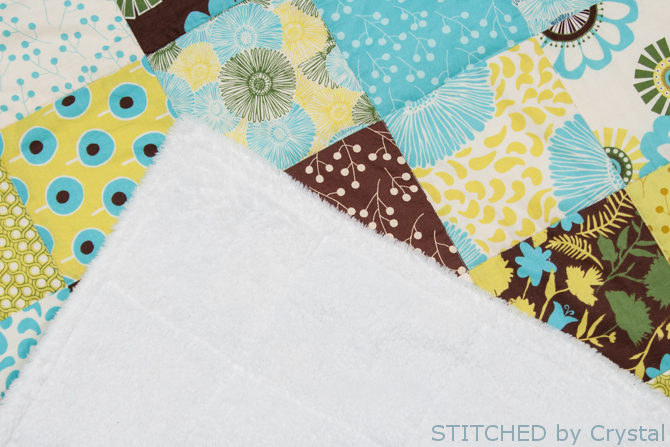 Now you can stop here, or you can quilt along the seams of the patchwork if you would like. 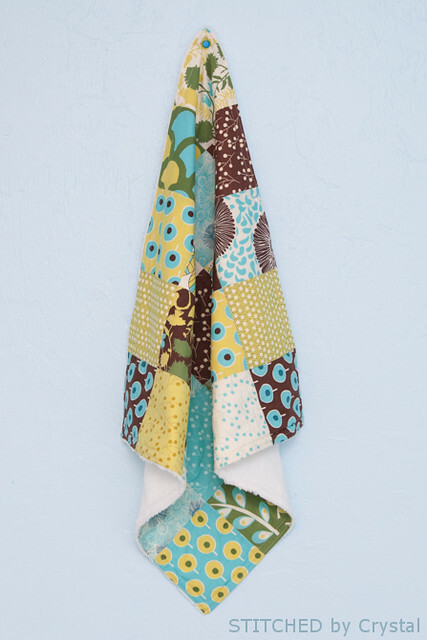 Looking for more great DIY baby projects? Swing by my blog! 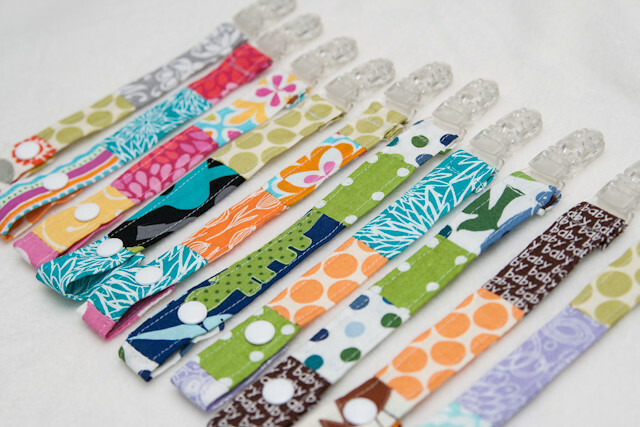 Or how about some easy paci clips? 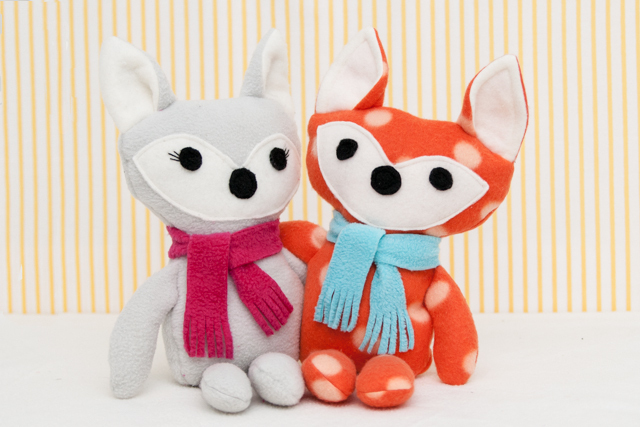 Or these stuffed foxes, they would make a great shower gift!